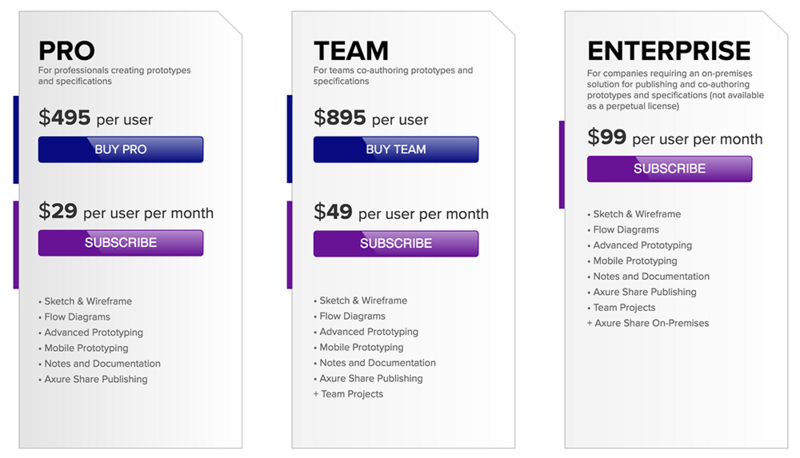 Axure has launched three versions: Pro, Team, and Enterprise. But the support for the perpetual license, that is limited to users who have already purchased the Professional or Team Edition. 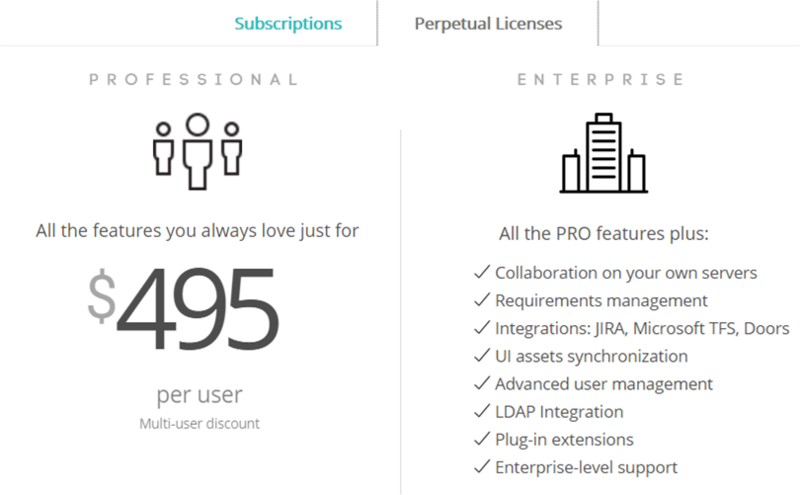 In the Axure RP 8.0 version, users can purchase license key at the price of $ 495 and $ 895. Moreover, once you purchased the perpetual license, you can have the software update for free in your lifetime. Justinmind provides subscribe and perpetual license for users. Whichever mode is selected, the user can experience all the Pro features. In terms of pricing, the perpetual license edition of Justinmind keeps consistent with Axure, both positioned at $495. But what worth saying is that, the perpetual licenses include minor and major version updates for 1 year. If you want to get new versions after the first year, the maintenance needs to be renewed each year for $99 per user. Compared with the pricing strategy of Axure, Justinmind, Balsamiq offers more options based on the user’s different requirement. They can choose the volume license or upgrade license, as well as the single user license at the price of $89. According to the website, Mockups 3 for Desktop is a one time purchase; there are no maintenance costs for the license. Licenses are tied to humans, not a particular machine. But the site does not directly tell the user whether an additional purchase fee of upgrading is required. But with careful reading of the document, you can find that the major-version updates will have an additional cost. 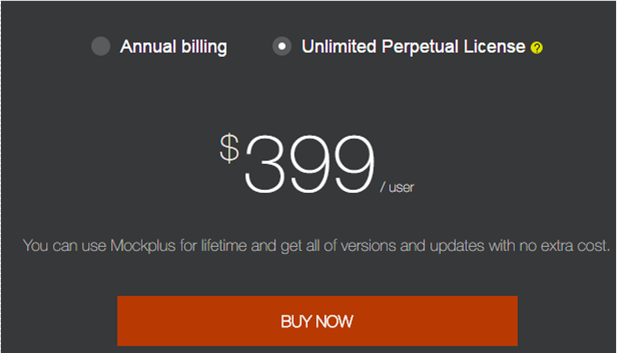 Mockplus also launched a perpetual license version in its 2.3 version at the price of $399. Users can enjoy all the professional features, such as exporting HTML, cloud sync, 3000+ icons, and so on. Compared with competitors, the advantage of Mockplus’s perpetual license is not only in its cheap price, good quality after-sales service. The most important is that the perpetual license of Mockplus is the only one that has no any additional fees or conditions: once purchase, lifelong use, and free update for the future versions. I think nobody will refuse a good prototyping tool that has no any additional fee with one time purchasing, but you can enjoy all the pro features. The essence of perpetual license is the commitment of the software developers for their users and the confidence of their future development. The choice of designer for prototyping tool is not only because it’s simple and easy to use, fundamentally speaking, that is because they trust in the software and their manufacturers. 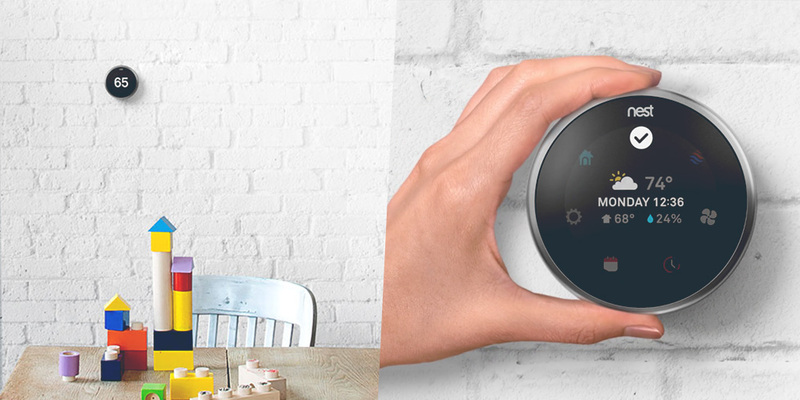 The interaction design was put forward by the founder of IDEO, Bill Mogridi, in 1984. At the beginning, it’s called Softface, and then renamed “Interaction Design”, that is what we called the interaction design today. 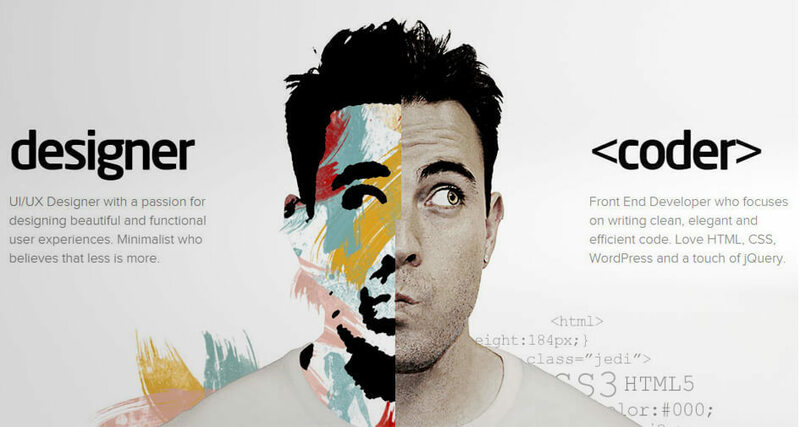 An interaction designer is a profession that focuses on the interaction mechanism between product and the user. That means with the help of interaction designer, it will allow users to use the product simpler and easier, experience the product more intuitively, and ultimately feel the value of the product. 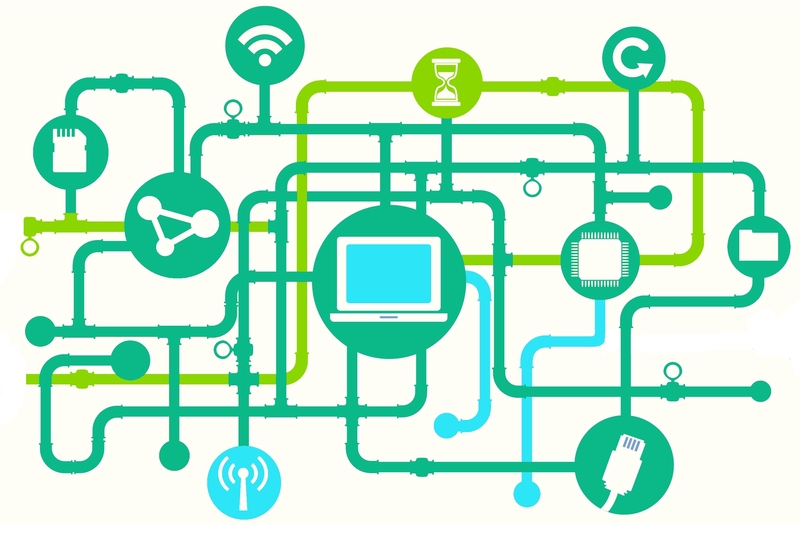 Human/machine communication – the transmission and translation of information between equipment and users. Operation and feedback – this requires the designer to understand and anticipate how interactions unfold over time, designing for the wide range of permutations that can occur. Status – the presence of a different state to ensure users understand what is happening, and why the application gets into this state. Workflow – let the user understand who can do what, and what will happen next. Failure – failure is bound to occur, it must be considered within. The holidays are really the most wonderful time of year, and this year Mockplus wants to make them as excellent as possible for their beloved customers. As 2016 Christmas comes around the corner, Mockplus is offering up to 64% discount for its annual billing subscriptions from this page, with no promo code required. 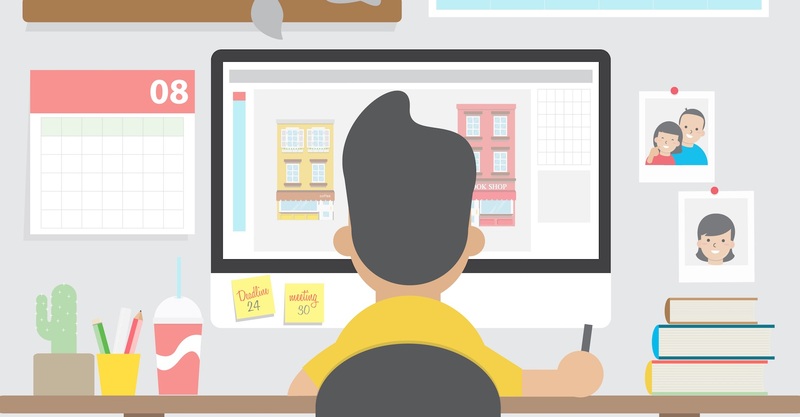 Furthermore, here is a round-up of bonus deals for folks working on creative projects. Let‘s go and see more detailed information. Giving user experience and happiness the highest priority, Mockplus now decides to give special 64% discount to reward all existing and new customers. On the regular basis, the monthly price of Mockplus Pro version is $29; while through this promotion link, anyone will be able to enjoy the promotion price of $10.5 per month and save more than 220 bucks while purchasing. Note that, this Christmas promotion will start from Dec 14, 2016 and last until Jan 15, 2017.